Manage warehouses and inventory more efficiently. Rack labeling is an elemental piece of any successful organizational system. In Lean manufacturing, organization is one of the foundational principles of success, and an important lesson in combatting the 8 Wastes of Lean. 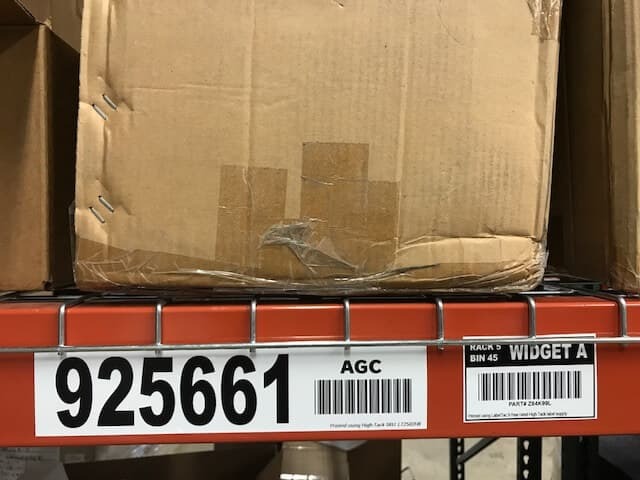 For warehouses, rack labeling is the key to avoiding waste and easy-to-navigate warehouses means workers can find what they need quickly and efficiently. A well-organized inventory means avoiding over production or holding too much inventory. Organization means workers are working smarter, more efficiently. Rack labeling makes this all possible. 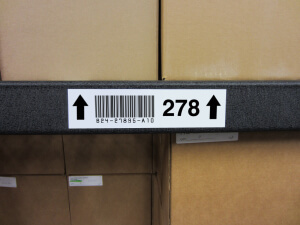 Check out our rack labeling guide and transform your warehouse. Industry practices and systems to keep your warehouse and inventory organized. Designing a rack labeling campaign from scratch can feel daunting. Luckily, LabelSuite™, the intuitive, free label-making software that comes with every LabelTac® printer, makes that job is easy and hassle-free. The software allows you to import .CSV files so you avoid having to manually input information for each label. Simply load your Excel sheet into the program and print your labels. It couldn’t be easier. The LabelTac® family of printers makes creating a rack labeling system easy, quick, and hassle-free. With the included LabelSuite™, the intuitive, groundbreaking labeling software that comes free with any LabelTac® printer, you’ll be able to build custom rack labels. 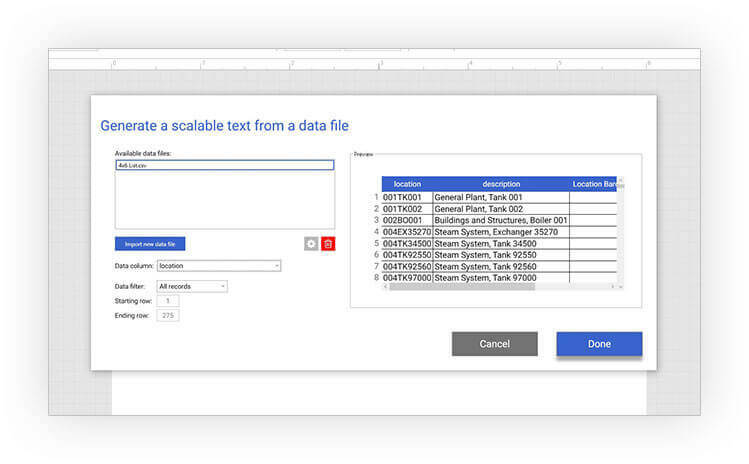 Equipped with a wide variety of libraries and templates, this software enables you to make the labels you need in minutes. This guide works to reduce the time needed to search for items, and set your company up for organizational success. Transform your workspace into an organized, easy-to-navigate visual system with rack labeling. Barcode technology is still one of the best and most popular ways to keep track of inventory in retail environments, but barcoding has many uses in industrial settings as well. Learn how this technology can help you work faster and smarter with this quick guide. This guide provides useful information for making sure your facility's signs comply with these new guidelines OSHA/ANSI Z535 guidelines. OSHA inspections occur unannounced, but that doesn't mean you have to be unprepared. Make sure your facility is ready for an OSHA inspection with this helpful checklist. This workbook walks you through your facility, helping you evaluate where you need visual safety markings like floor tape, floor signs, and wall signs. 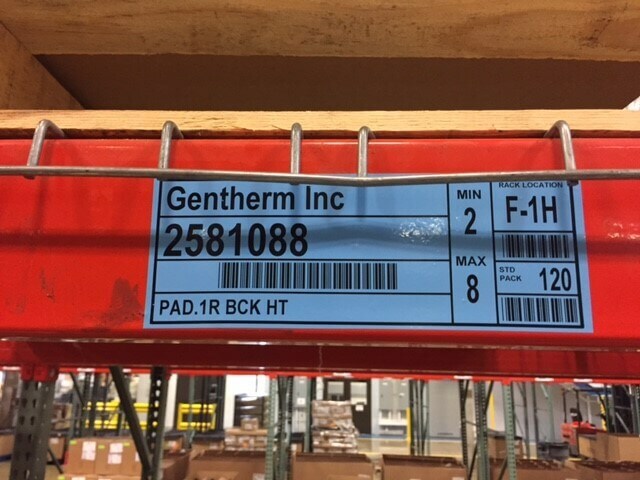 Having the ability to print rack labels in your facility can save you a lot of time, energy and even money. Rack labels typically need to use large, bold print so that they can be seen from some distance away. In addition, they need to be durable enough to stand up to the often rough environment of a warehouse or other facility. Of course, in order to print rack labels you will need a high quality industrial label printer that can stand up to the job. Choosing a good label printer that will be able to produce these labels continuously in this type of environment is very important. We offer a variety of different models to help ensure you get the exact printer you need for your situation. In addition, we have both blank and pre-printed media to make it as easy as possible to produce the rack labels you require. Out with the old consumer-grade labelers! These labeling machines can print on label rolls with widths up to 4 inches (LabelTac 4 and 4 Pro), or all the way up to 9 inches wide (LabelTac 9). 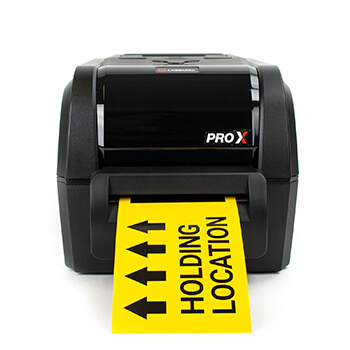 Quickly and easily print rack labels, equipment labels, safety labels, facility labels and more. Your labels, made YOUR way.